If you eat canned vegetables, microwave leftovers in a hard plastic container, or use a plastic baby bottle to feed your grandchild, you could be exposing yourself and others to Bisphenol A (BPA), an estrogen-like chemical that the federal government is concerned could cause health problems. Reversing its long-standing contention that BPA is safe, last month the Food and Drug Administration announced that it has “some concern” about the chemical’s effect on the brain, behavior and prostate gland in fetuses, infants and young children. Researchers also have linked the chemical to sexual problems, heart disease and other health issues in adults. 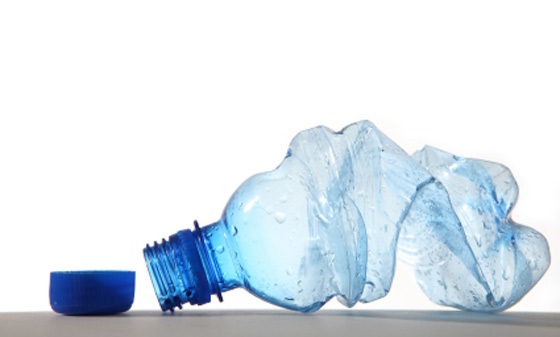 BPA is used to make hard plastic bottles, liners in food cans and a host of other everyday items. One federal study found that more than 90 percent of Americans have traces of BPA in their urine. The chemical doesn’t just pose a health threat to children, some experts say. Studies have linked it to heart disease, prostate problems, erectile dysfunction and breast cancer. Although it doesn’t build up in the body, researchers say exposure is so common that many Americans have a near-constant level in their systems. But health officials have yet to state publicly that BPA poses an immediate danger to humans. “If we thought it was unsafe, we would be taking strong regulatory action,” said Joshua Sharfstein, M.D., the principal deputy commissioner of the drug agency, at a news briefing. But in recent weeks the FDA also has refused to state unequivocally that BPA is safe. The agency is conducting its own studies on BPA and, Sharfstein says, it expects to have the results of that research in about two years. In the meantime, he says, the FDA is “taking reasonable steps to reduce human exposure to BPA in the food supply,” by encouraging industry to stop producing baby bottles and infant feeding cups containing BPA and helping manufacturers find an alternative lining for cans. While the FDA’s procedures may baffle some consumers, it actually marks a significant step toward enhanced regulation of BPA, says Fred vom Saal, professor of reproductive biology at the University of Missouri. The controversial chemical acts like estrogen in the body, throwing off the body’s regulation of those hormones, says William Lee, M.D., metabolic cardiologist at the Patients Medical Center in New York. It breaks down and binds to estrogen receptors, but the chemical is “much more potent” than estrogen hormones, says Lee. High concentrations of it disrupt insulin production, which in turn leads to excess triglycerides in the bloodstream. “And that means higher heart disease risk, liver damage, obesity, et cetera,” Lee says. BPA exposure could be more harmful to older adults than to younger adults, says Lee. “Once men pass age 40 estrogen levels increase naturally, and helping that process along is not necessarily healthy,” he warns. For example, Lee says, men with prostate disorders tend to have elevated estrogen levels, so artificially boosting estrogen through BPA exposure could have negative effects on the prostate. Published in the November 2009 issue of the journal Human Reproduction, a government-funded study found that men in China who handled BPA at factories were four times as likely to report sexual dysfunction as factory workers who had no exposure to the chemical. Workers exposed to BPA were seven times as likely as others to have difficulty ejaculating, the study found. Conversely, women lose estrogen as they age. So, Lee says, women’s bodies may mask the damaging effects of BPA, including an increased risk of breast cancer.